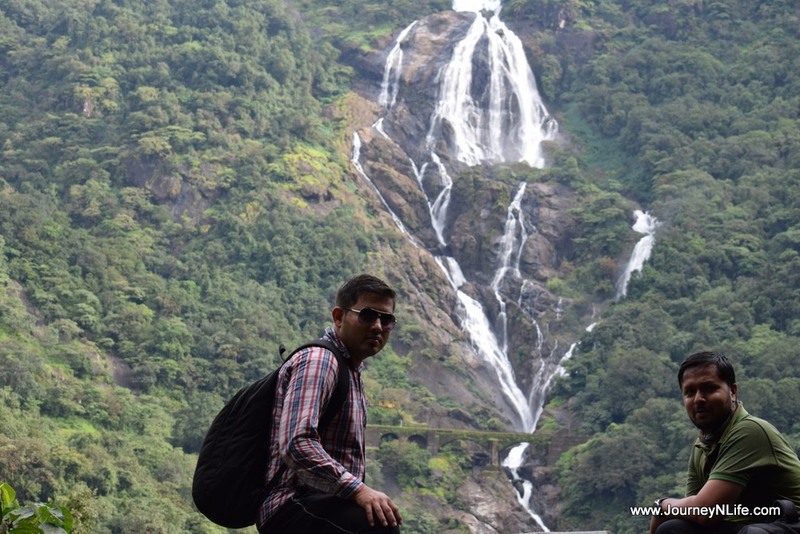 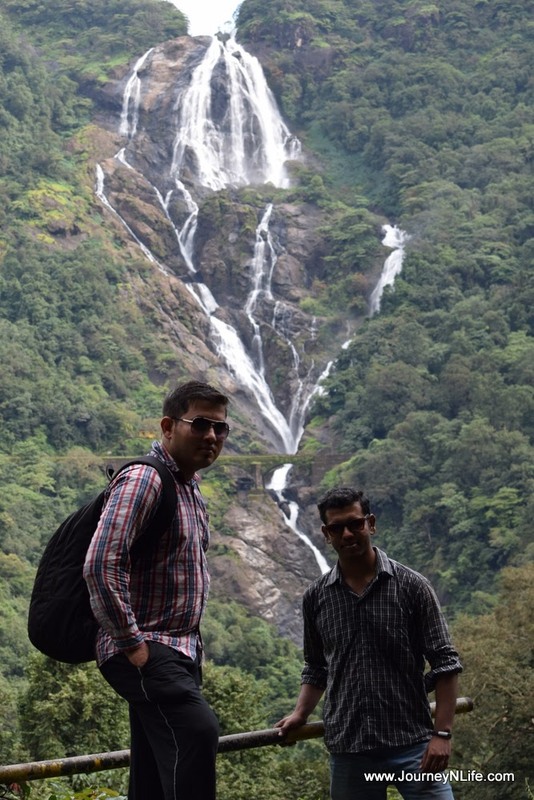 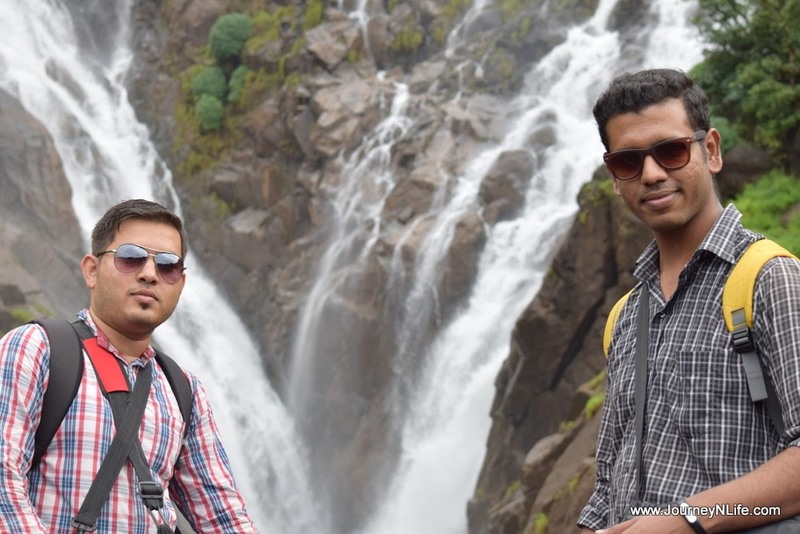 Dudhsagar Waterfalls Trek - One of India's Tallest Waterfalls - Journey & Life. 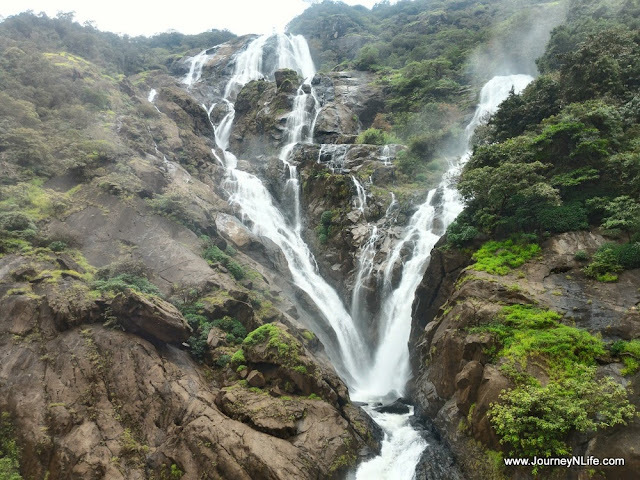 Dudhsagar waterfalls – A place for nature lover and enthusiasts like us, it is the place situated in the middle of a forest on the Goa-Karnataka border. Dudhsagar railway station (upper part) can be access by train directly or trekking from Castle Rock or Kulem railway track. 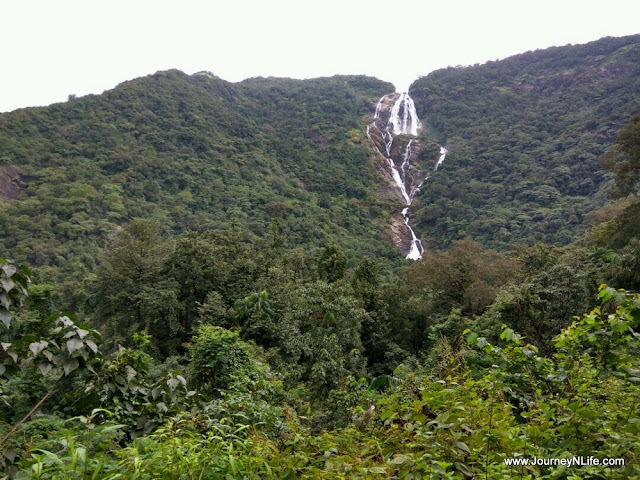 And the lower part of waterfall can be accessible through the Bhagwan Mahavir Wildlife Sanctuary, where forest department runs a SUV vehicle service through the sanctuary up to the foot of the Dudhsagar waterfalls. 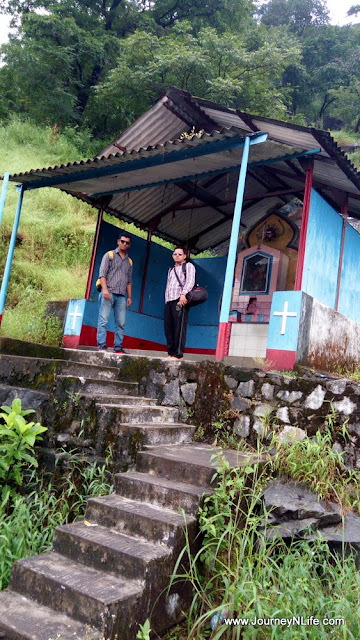 This service is closed during monsoon. 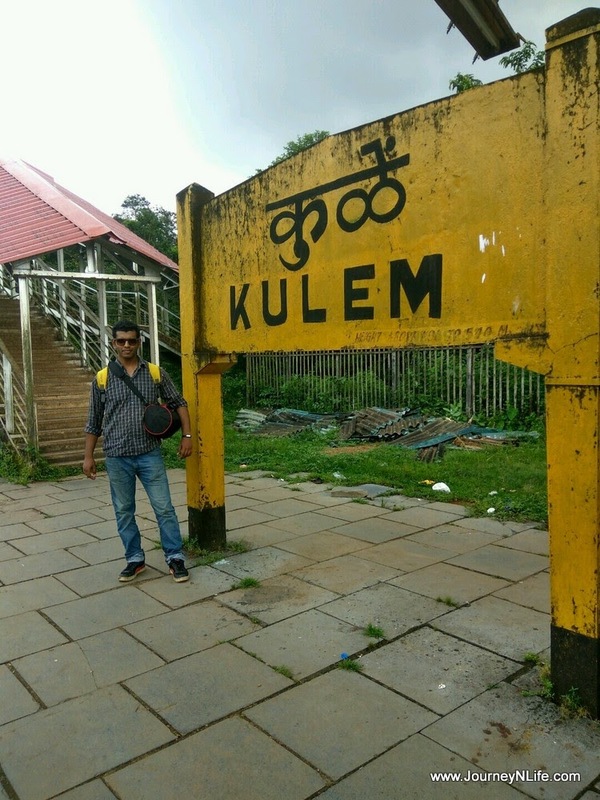 We had book advance tickets for Goa express from Pune to Kulem for 10th October and return ticket from Kulem to Pune for 11th October 2016. 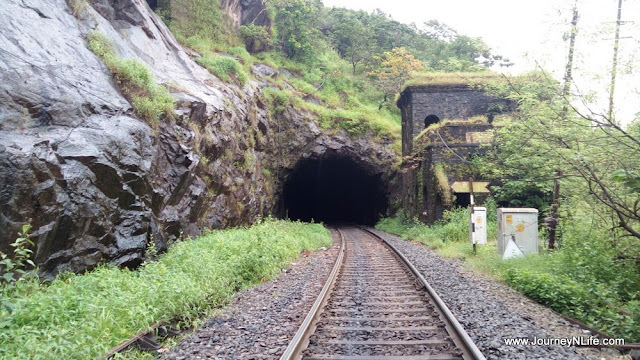 We planned for weekday because of Government holiday of Dussehra and to avoid weekend rush of tourist. Each one of us was looking forward to the entire journey as a dream come true after 2 years of planning. 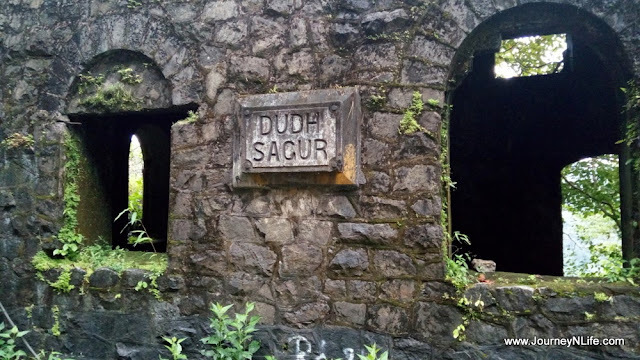 We left Pune on Monday evening by Goa Express and return on Wednesday morning by Ernakulam –Pune SF Express.We had a plan to directly get down at Dudhsagar station in the night around 4:00 AM and wait in the small church till sunrise. 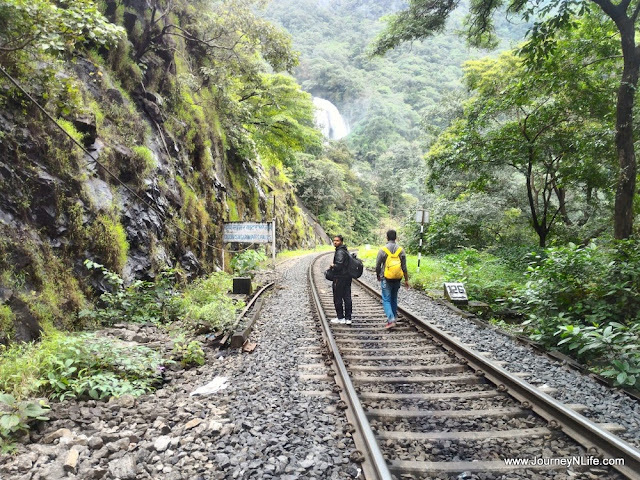 And later walk towards the Dudhsagar and return back by trekking till Kulem Station and catch the train. 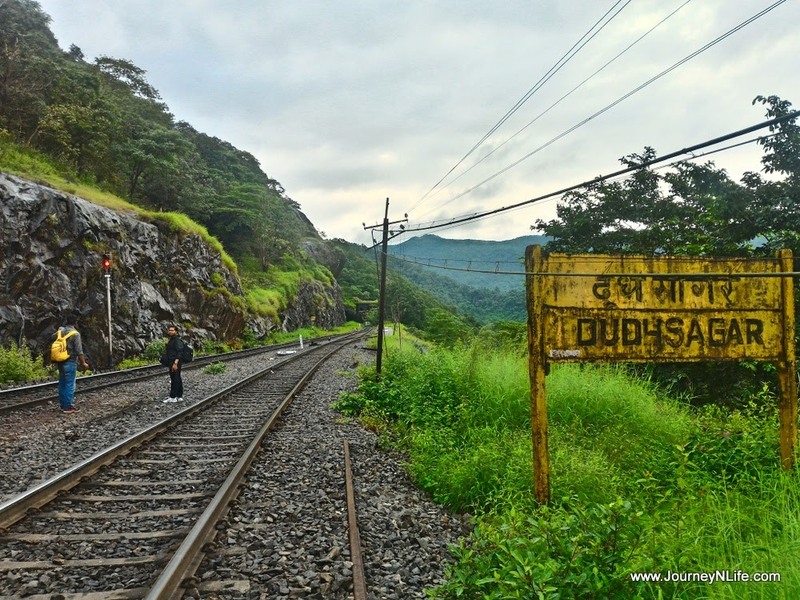 Dudhsagar station is just a stoppage station where train stop for few seconds, we got down and started walking toward the waterfall and halted at the church on the left side. 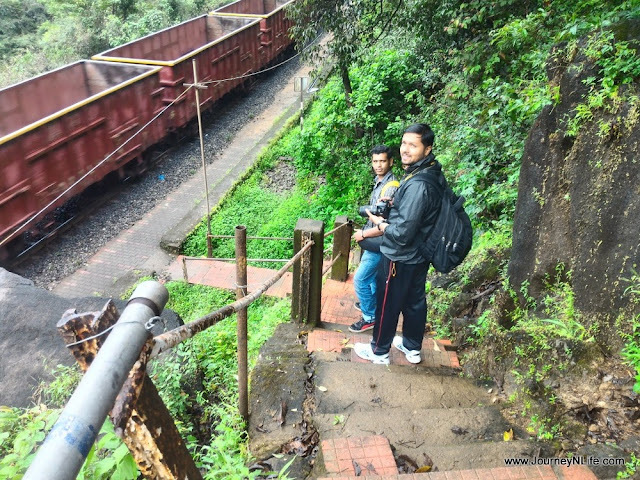 It was too dark to view the railway track and nearby area, after few hours of nap in the church we wittiness the best scenic ever. 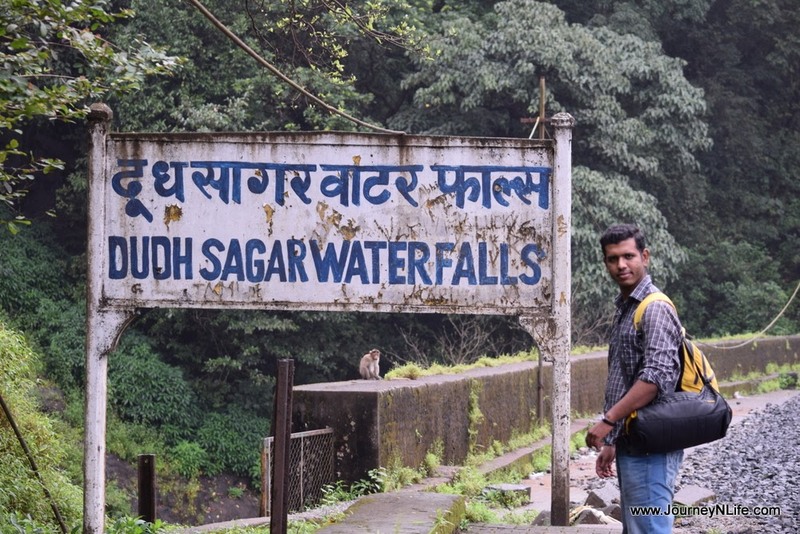 When we reached the Dudhsagar after crossing the first tunnel we hear the sound of water and it made us more excited. 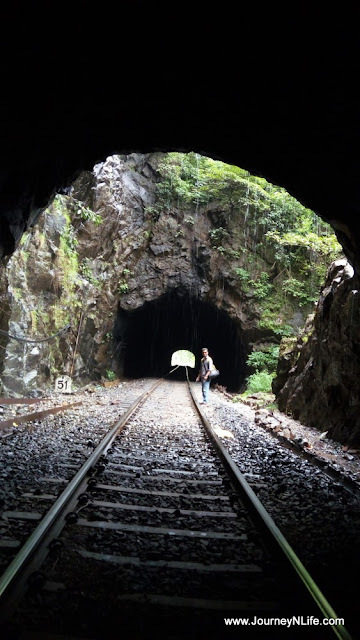 It was huge, bright enough and long fall. 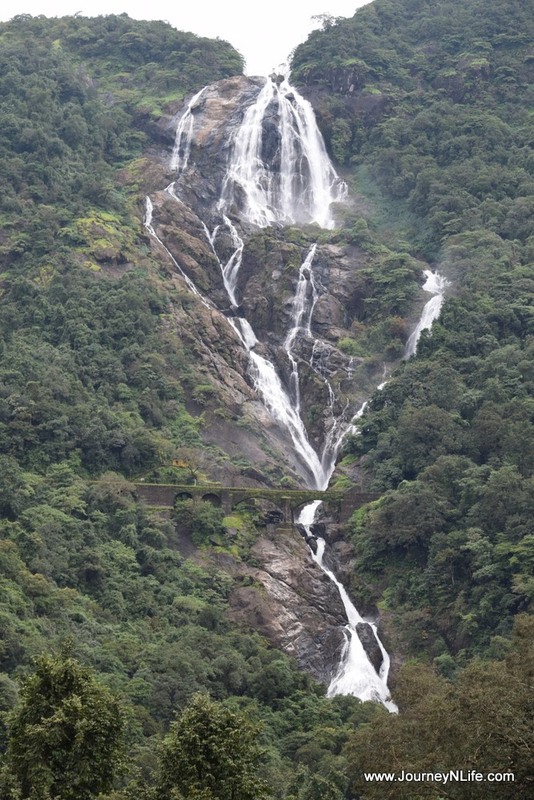 It is one of the largest waterfalls in India. Dudhsagar is a nature’s gift to mankind and one can appreciate only after visiting it. 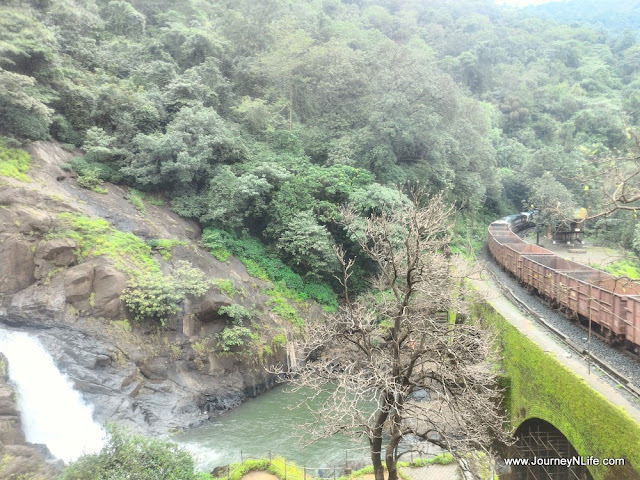 Train has pass by and we could see trees around, giving smell of satisfaction to us that we are close to Dudhsagar waterfalls. 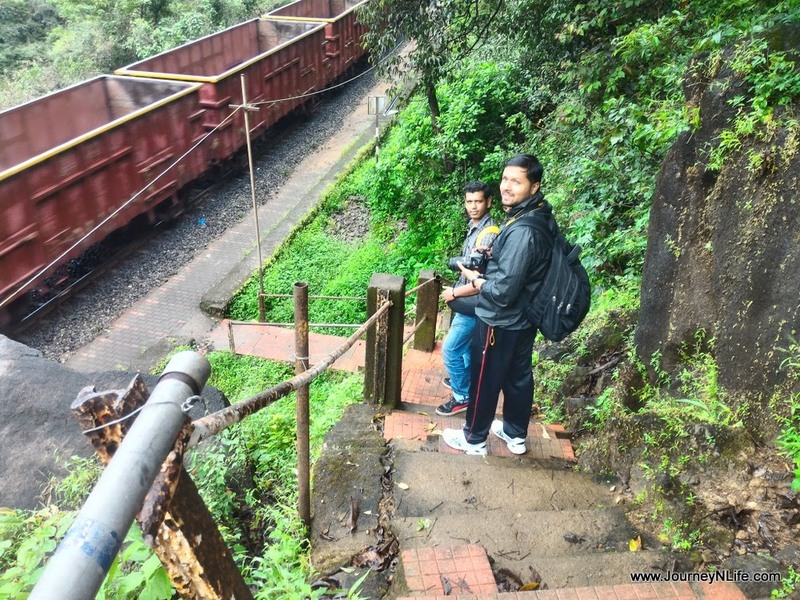 It was the first time for us to walk on the railway track and it is not easy to walk on it. There were plenty of small stones spread all over the track creating difficulty to the sole of our legs. 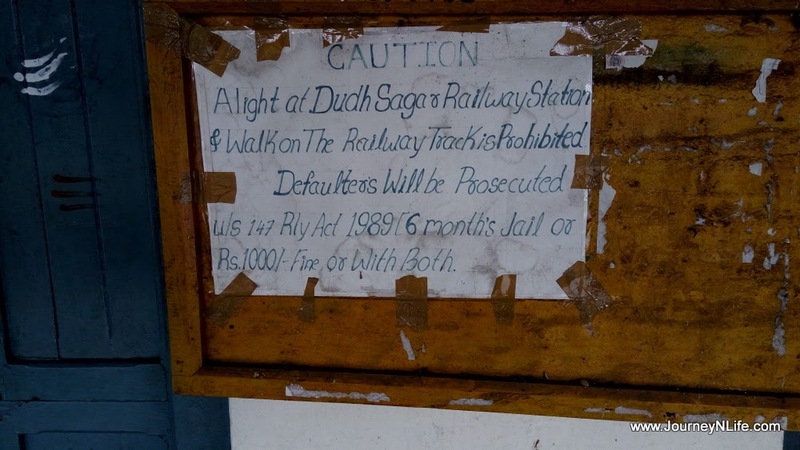 Also, one has to be careful of not stepping on the human’s natural excrete which Indian Railways allows to the passengers to spread all over the track at their wish. After spending few hours for photography and witnessing the scenery we decided to head to Sonalium Station which was the station around 1 km away from Dudhsagar waterfall. 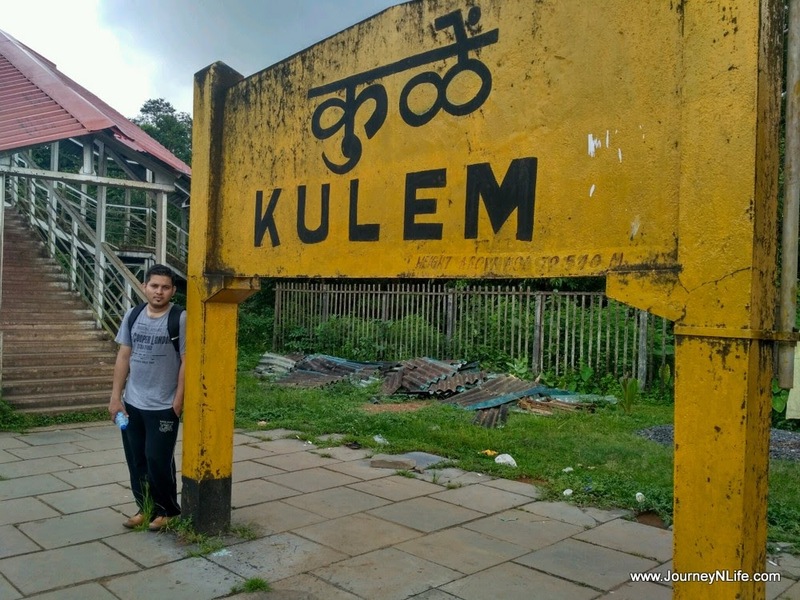 We had breakfast which we brought along at the station and started trekking towards Kulem station which was the final destination which is around 8km away from Sonalium. 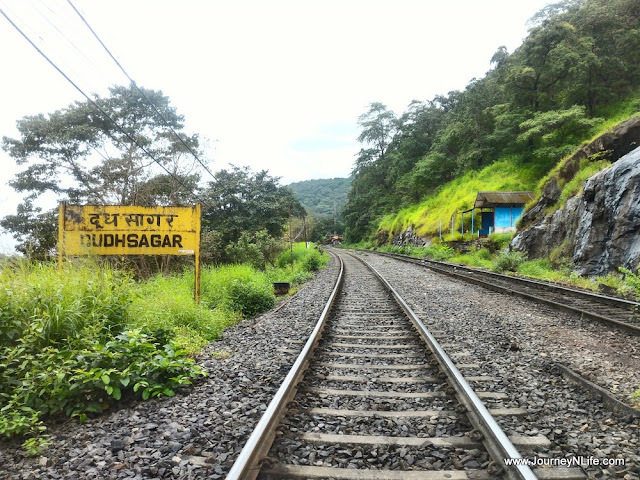 House of Chennai Express Movie. 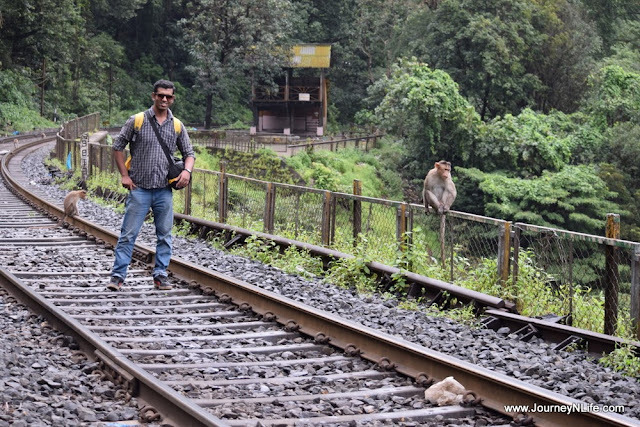 After few minute we reached the place where the photo of Chennai Express Movie scene was shooting. 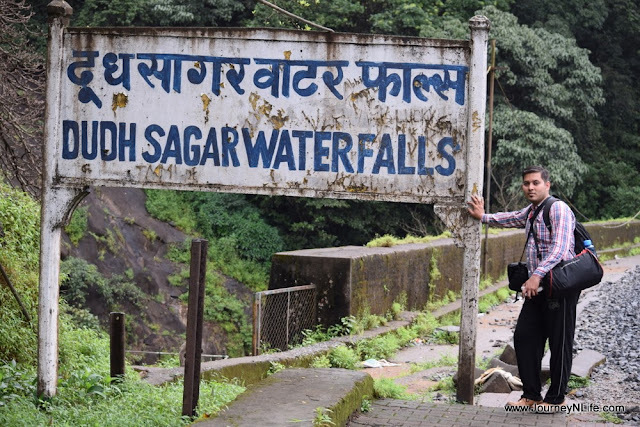 It was a multi-tier water fall separated by a railway track bridge. It was the awesome view and it was hard to move away our eyes from such a wonderful creation of the nature. 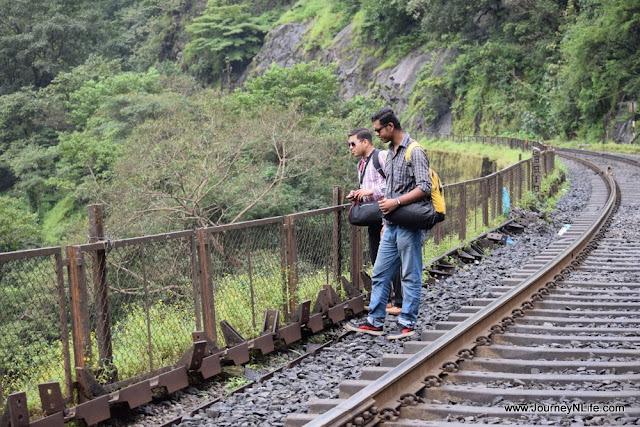 We only miss the train on the bridge to complete the ‘Chennai Express View’. 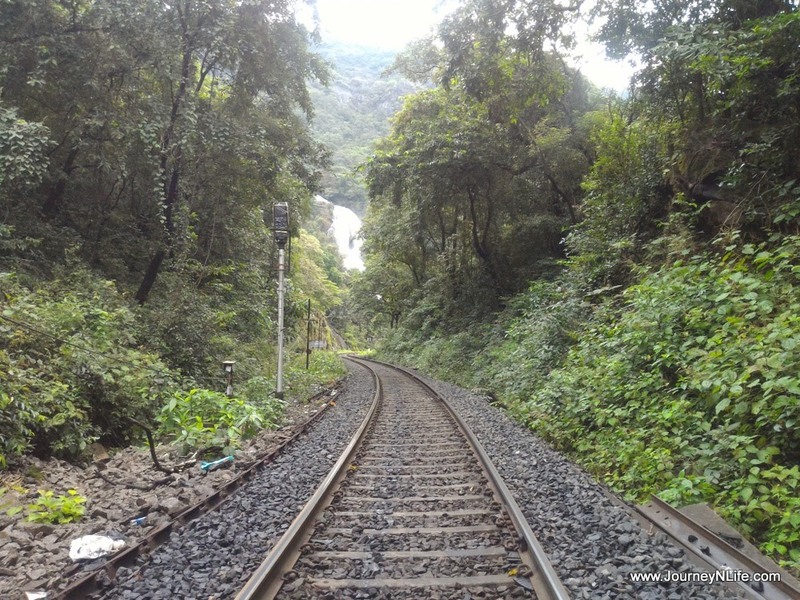 There were huge long trees on either side of the track covered with dark green leaves. 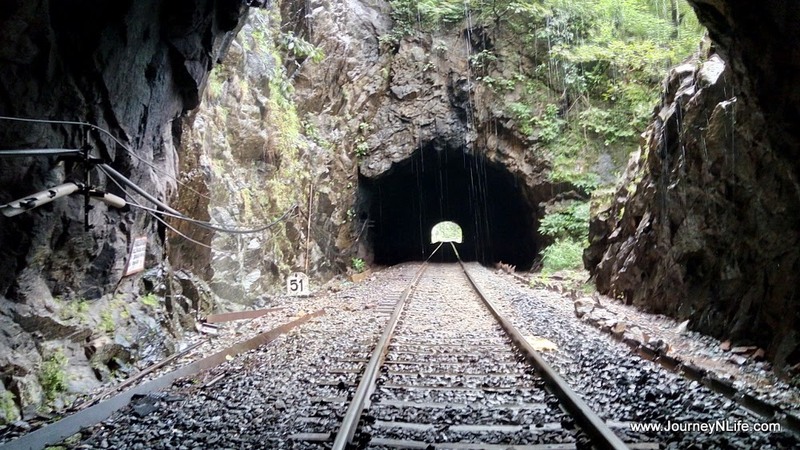 And multiple tunnel to cross in every 30 mins. 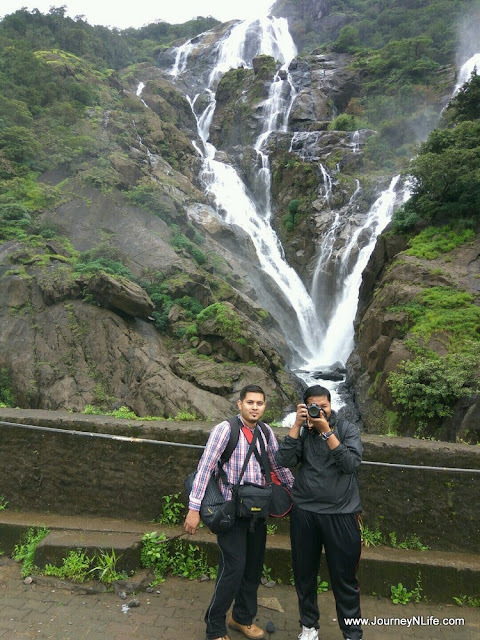 We took multiple breaks for snack and nature call. 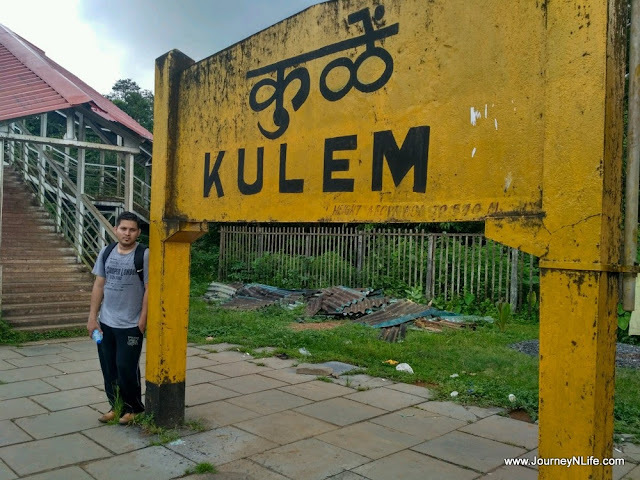 Finally after reaching Kulem Station we had some food and tea outside station in the hotel and settle down at the station. After boarding the train, we reminded about our morning journey and every moment spent in our mind. 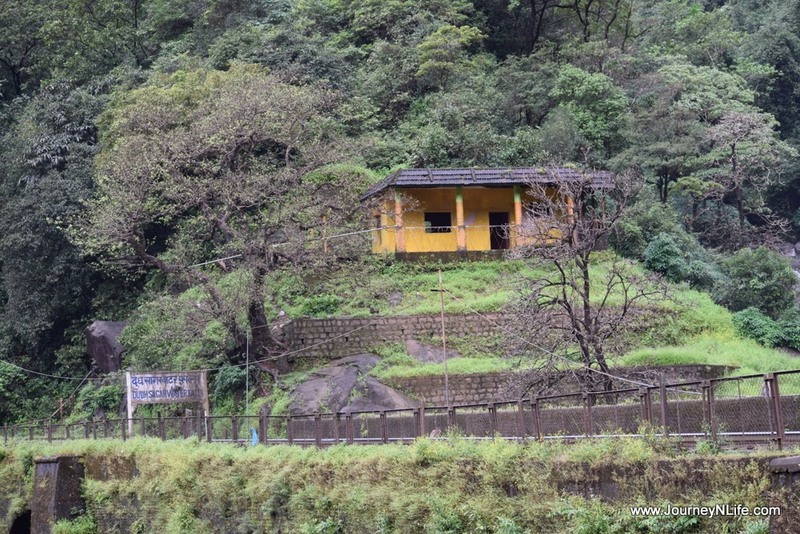 Later we had our dinner and then went to sleep. 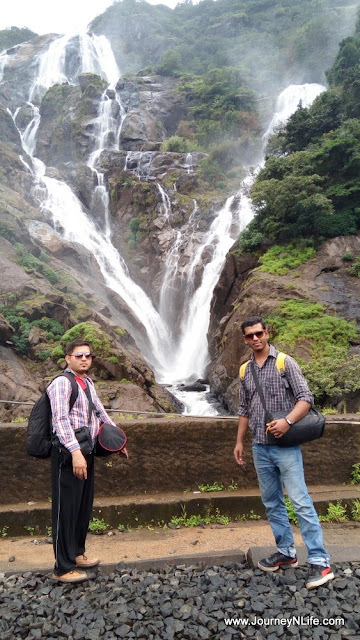 Reached back to Pune at around 6:00 Am in the morning, which brought our memorable journey to the end. 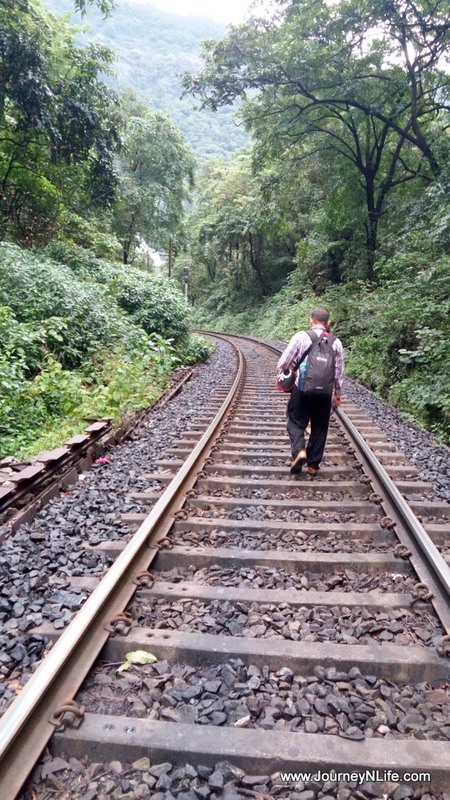 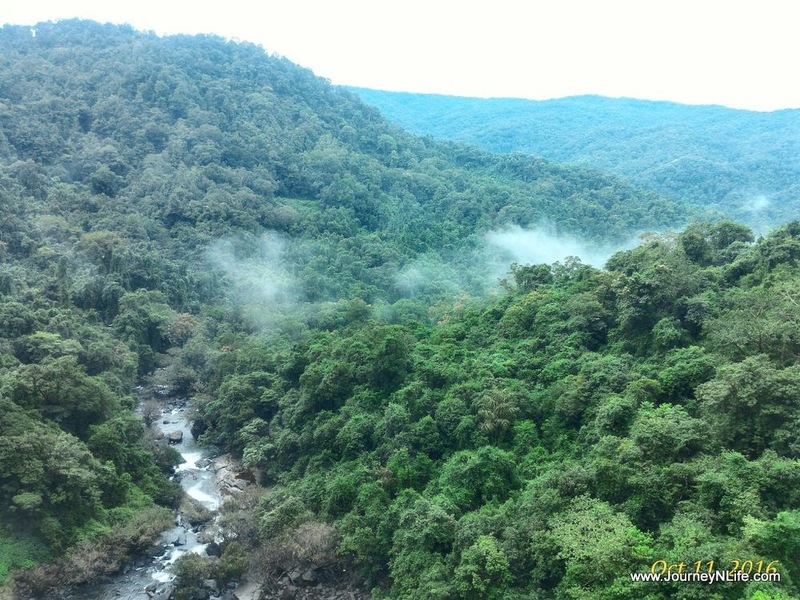 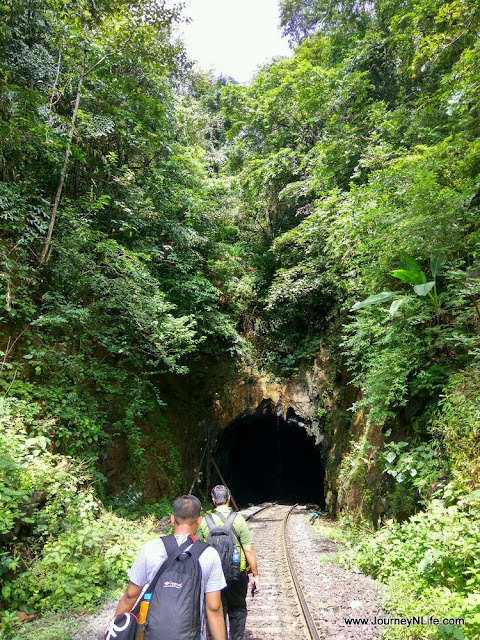 In Monsoon, most of the trekker preferred most famous route from Castle Rock station to Scenic Dudhsagar water falls along the railway track which is 14 km hike or through scenic but less popular from Kulem Railway station which is 11 km away. There plenty of space in the tunnel to hide if any train comes in. Better to catch the train from either Sonalium or Kulem Station.